The acclaimed filmmaker revealed that corporate analysts felt Ayushmann Khurrana wouldn’t fetch as good a business as Varun Dhawan. 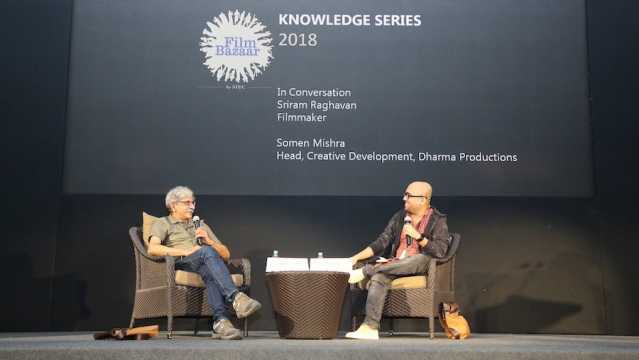 Sriram Raghavan with Somen Mishra at Film Bazaar 2018 in Goa. Too many cooks can spoil the broth, but not if the masterchef is Sriram Raghavan. The maverick filmmaker has given thrilling dark thrillers like Ek Hasina Thi (2004), Johnny Gaddaar (2007) and Badlapur (2015). 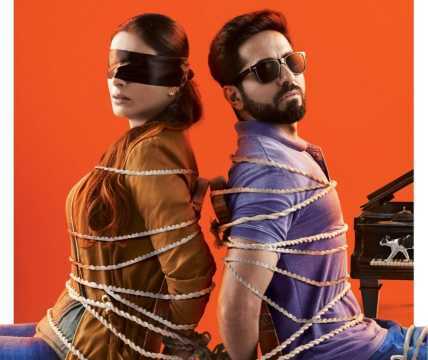 His latest release was the Ayushmann Khurrana-starrer Andhadhun, a dark thriller with a blind protagonist. The writing credit is shared by five people — Arijit Biswas, Pooja Ladha Surti, Yogesh Chandekar, Hemanth Rao and Raghavan himself. The filmmaker recently attended the 49th International Film Festival of India (IFFI) and Film Bazaar, held in Goa. 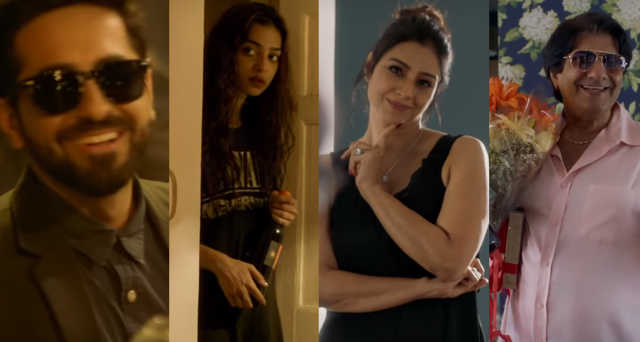 Raghavan was in conversion with Dharma Productions' creative head Somen Mishra at Film Bazaar where he stunned all by revealing that he had conceived Andhadhun before Badlapur (2015). The idea of a blind pianist had first figured in a song in Raghavan’s Agent Vinod (2012). Raghavan had a blind woman playing a melody oblivious to the shootout taking place around her. That thought wasn’t the inspiration to make Andhadhun. Raghavan had writer Hemanth Rao in the beginning and together they contemplated on many story ideas. “After two months of discussion on various story ideas, Hemanth sent me this [French] short film L'Accordeur (2010). I asked him why don’t we expand this. I wrote to the French guys [rights holders] who turned us down citing too many takers for the film. Besides, they, too, were making a feature film on it,” Raghavan said at Film Bazaar. Having been turned down, Raghavan then moved on to making Badlapur with Varun Dhawan. The filmmaker had just casually discussed the idea of the French film with Dhawan, but there was no proposal. Raghavan got busy with Badlapur, while Rao got occupied with his maiden film Godhi Banna Sadharana Mykattu (2016). “After Badlapur, I decided to work on the [Andhadhun] script. Hemant got busy with his film and so I worked with a couple of other writers. The only way to do this film was by going to Paris and trying to convince them. I gave them my version of the script, which differed slightly from the original,” said Raghavan. When there are five writers working together in one film, how does the process work?, asked Mishra. “It is much more informal. There is a lot of brainstorming. I’ll try and write a few scenes and then they [co-writers] become my audience. More than writing, there is a lot of discussions,” said the Andhadhun director. A dark subject like Andhdhun would struggle to find too many producers. Raghavan didn’t hesitate in disclosing that often his films get rejected by corporates. Andhadhun is backed by Viacom18 Motion Pictures. “Usually, there is no bound script. My scripts are sketchy with a basic narration. I was told that if this is made with Ayushmann Khurrana then it would make Rs1.40 to Rs2.10 crore nett on the first day, but if it is made with Varun Dhawan then it will make about Rs7-8 crore. This was strange talk, all just based on the script, that is not even narrated by me,” said Raghavan. Apart from a fine story, the film has been much appreciated for its fine performances, led by Khurrana and Tabu. Veteran actor Anil Dhawan made a comeback after many years, playing a fading actor and husband to Tabu's character. Though brief, Dhawan delivered a fine act. Given its plot point of infidelity, 'Teri Galiyon Mein' from Dhawan’s film Hawas (1974) fitted perfectly for Andhadhun. 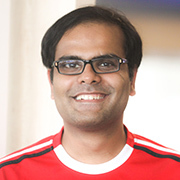 We asked Raghavan whether he decided to cast Dhawan after listening to the Mohammad Rafi ballad. “Initially, the idea was to take present-day character actor and make him into a fictional star from the 1970s. I listen to a lot of old songs on YouTube. Then at some point, it struck me why don’t I take an actual actor from that time. Anil Dhawan had had some terrific songs. He’s also Varun Dhawan’s uncle. Everything just fell into place. He loved the story, and the song was so appropriate for the film,” said Raghavan. 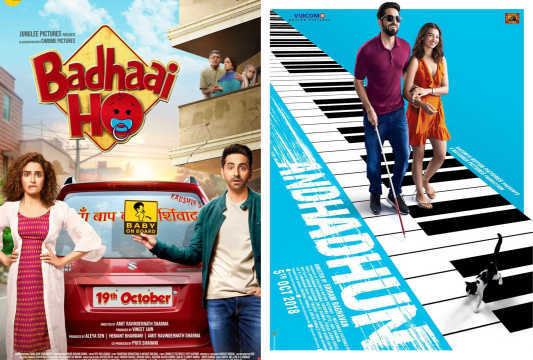 Andhadhun was released on 5 October, and it has made Rs72.69 crore nett in its India business so far. For the record, Badlapur had a wider release in 1,700 screens as opposed to 800 screens for Andhadhun. The former made Rs49 crore nett in its India business. Turns out, the corporate analysis was way off the mark.